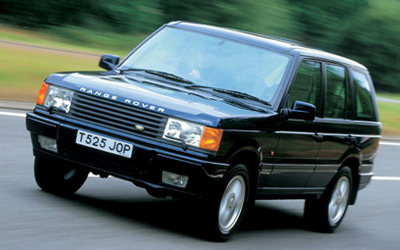 Fitted to Range Rover P38 1994 to 2002 model years. All models. Fitted to the Range Rover P38, the BeCM is the heart of this vehicle, & is fitted under the front right hand seat on both LHD & RHD vehicles. It controls every electrical system fitted to the vehicle, & supplies power to the other associated ecu’s & models fitted around the vehicle. 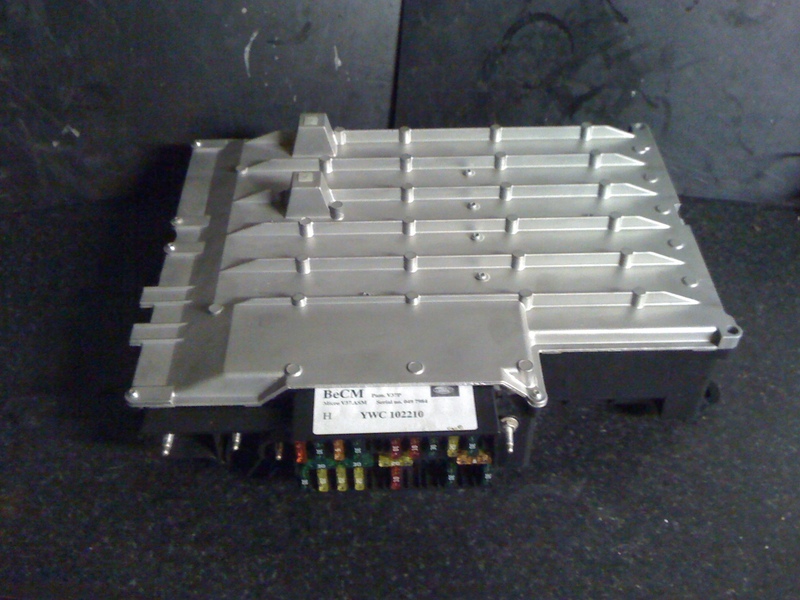 The BeCM also stores data specific for your vehicle. The data includes mileage, keyfob codes, EKA (Emergency Key Access) code, as well as personal settings & depending on the spec, individual settings. What happens when a becm develops a fault? The becm cannot store diagnostics fault codes. So when they go wrong it’s usually a specialists job to determine if the fault is on the vehicle or within the becm. We’re all to familiar with this process & the difficulties it entails. To request a garage to determine the fault can easily cost many hours in labour, just to determine if the fault is present on your range rover, or if a fault has developed within the becm. We have come across many garages where the mechanics are scratching their heads, & getting paid to do so. This is one of the reasons we offer free friendly advice, through telephone or email & don’t just offer it, we encourage it. If you can tell us the problem, any history to the problem, we can confidently, at 95% of the time, diagnose the fault & as to whether it’s on the vehicle, or within the becm. What happens if you’re still not sure of the fault? We offer a free test of your becm. During this process, we can determine if the fault is on the vehicle, or present within the becm. We can at this stage determine if the fault is economically repairable. There’s no cost to testing, all you pay is the postage & packaging back to you. This free testing applies to trade & private owners. If we can repair your becm, keeping in mind our repair success rate is approx 95%, then it’s cost is a set fee. This fee is the same to private owners, trade, main dealers & independents. Our repair cost covers all repairs. If we find multiple faults, all faults are repaired for a one set price. It never changes.Â I can’t say check our prices against other’s, because there’s no other’s who can achieve what we can, no matter what they advertise. We are the only repair facility that come’s recommended by the main dealers. The majority of our trade comes from word of mouth, we don’t advertise around the internet or in trade magazines. Google us & see what people are saying. Our reputation speaks for itself. On the diagnostics, wrong vehicle information displayed. LHD when it’s RHD, different language etc.etc. We always repair your own unit & it goes through the same testing procedure as a rebuilt becm. We have vast experience & deal with all aspects of BeCM problems, from data to component level repair. We test every single BeCM from the start to the finish, & every individual repair gets tested at every stage. A typical BeCM will be tested from three to seven times on a dedicated vehicle as well as bench testing.